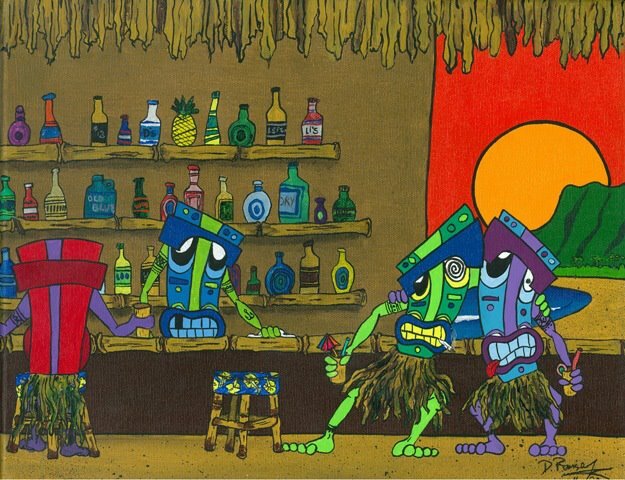 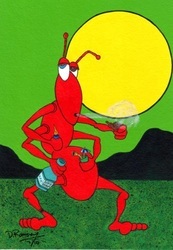 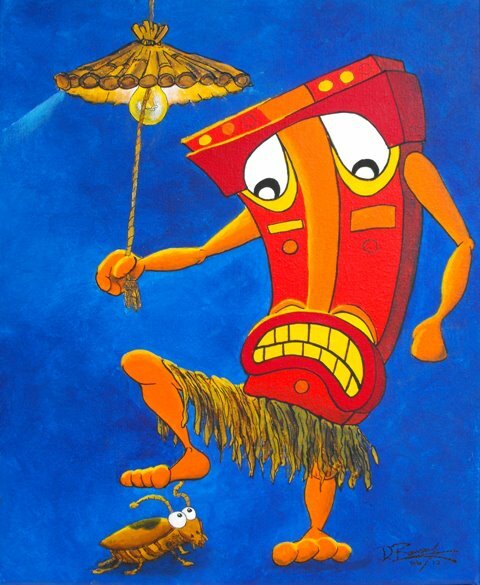 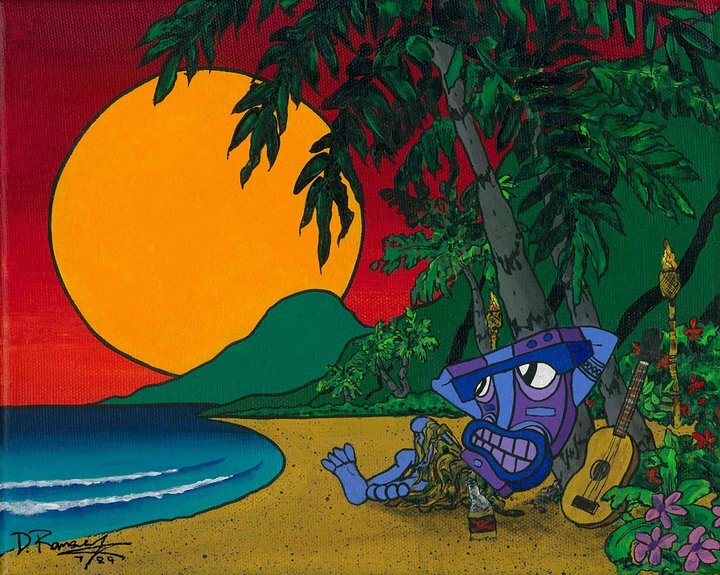 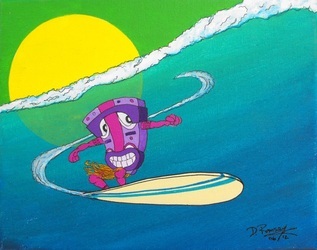 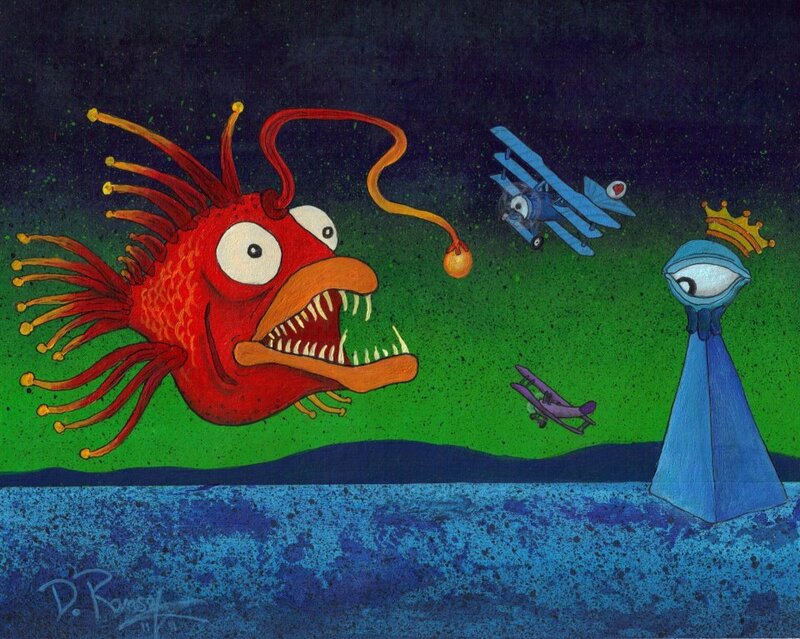 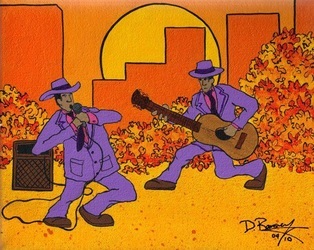 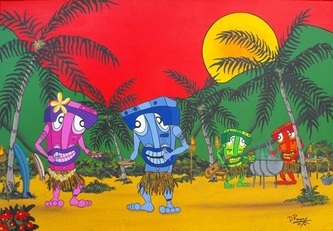 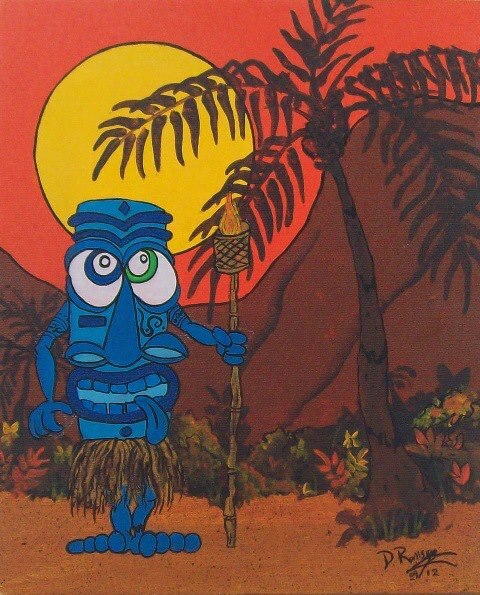 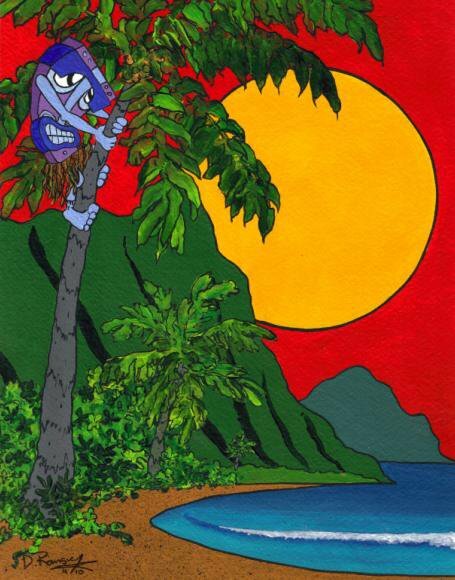 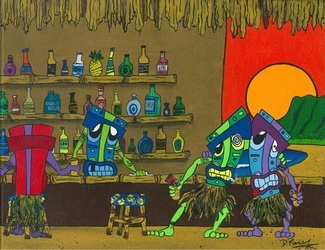 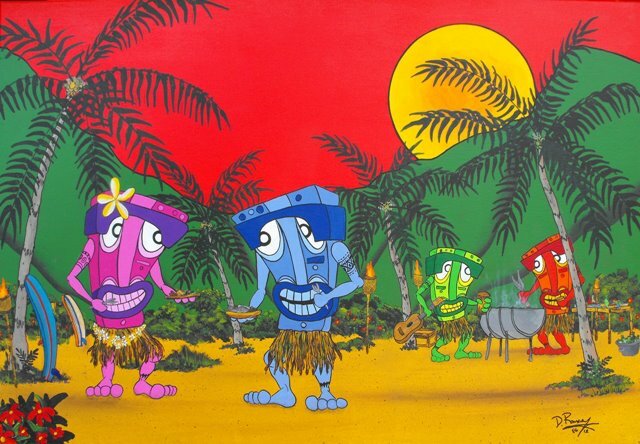 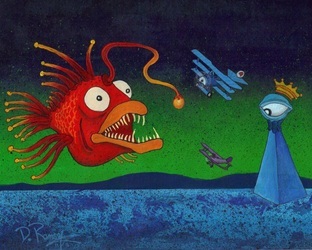 Hawaiian style art featuring Hiki Da Tiki. Aloha, my name is Damon Ramsey and I am originally from Seattle. 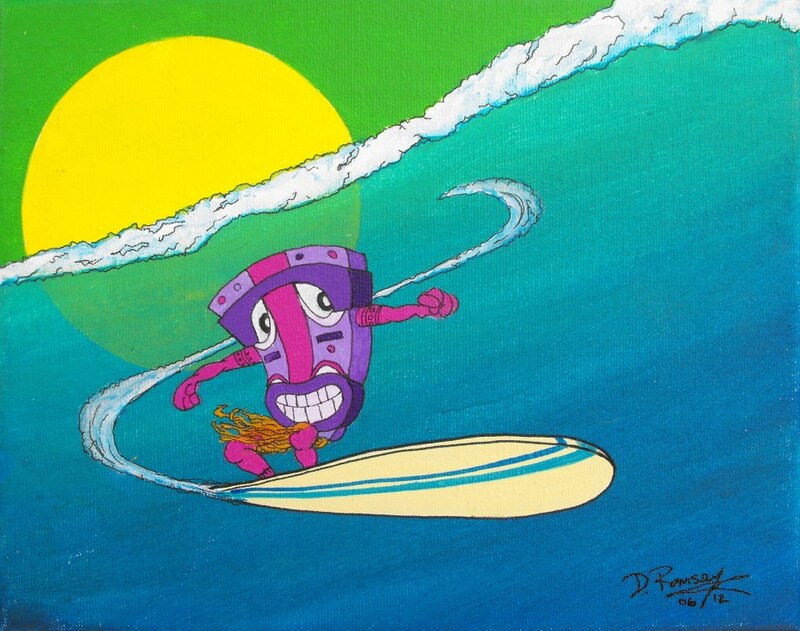 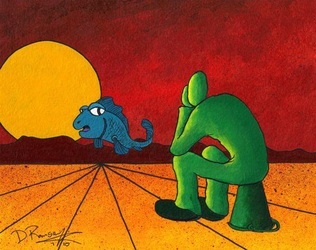 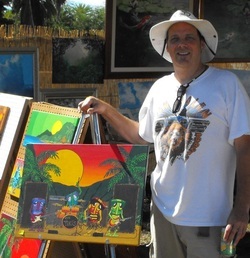 I first moved to Hawaii in 2001 to follow my dream of creating Hawaiian style surf art. 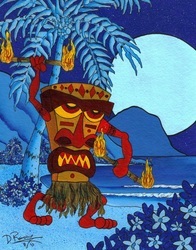 Soon after arriving I discovered my source of inspiration “The Tiki”. 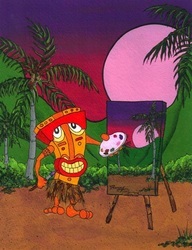 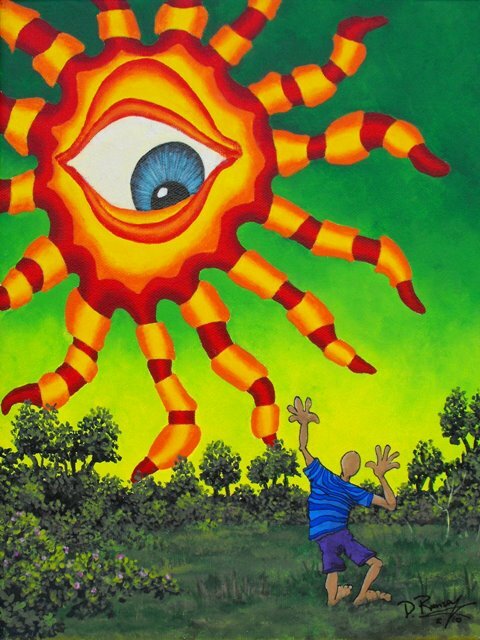 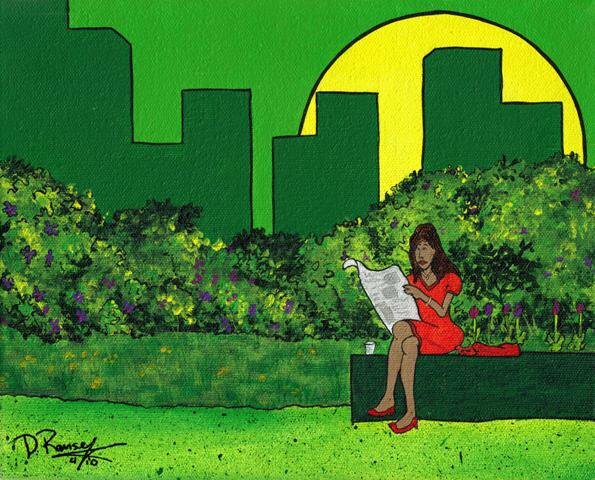 In 2007 I took a five year adventure that took me from Brazil to Connecticut where I studied and fine tuned my craft. 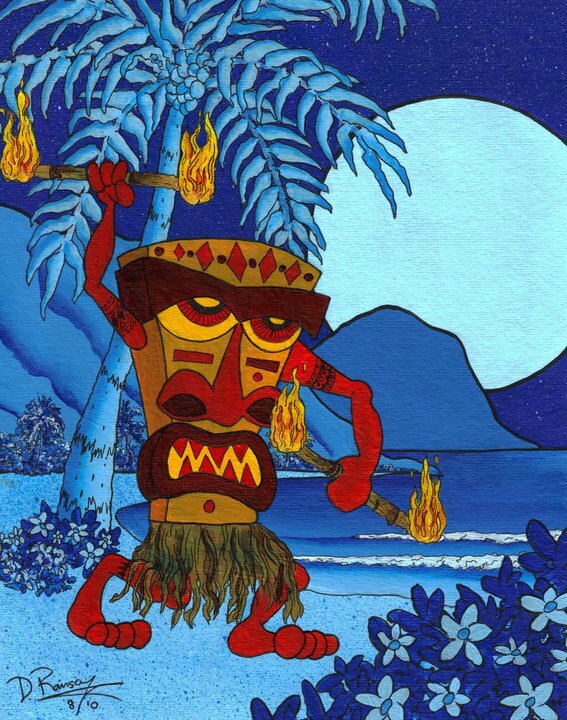 I have returned to the Islands to reclaim my mana and set Hiki Da Tiki and his friends loose on unsuspecting art lovers from all over the world.